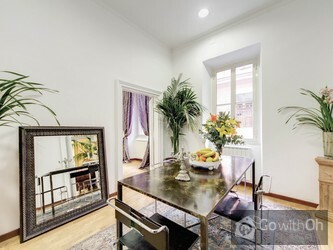 This elegant 130m2 is designed to accommodate up to 7 people and is situated on the third floor of a lovely period building (with a lift) in one of Romes oldest districts, Campo Marzio. 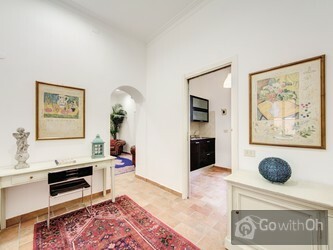 The apartment was refurbished in 2013 and has been decorated with taste and attention to detail. 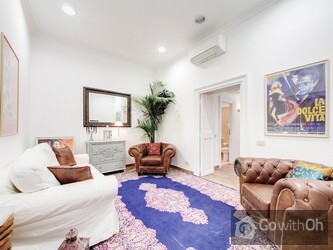 The tiled floors, the exposed beams and the Persian rugs give it a warm and cosy feel. 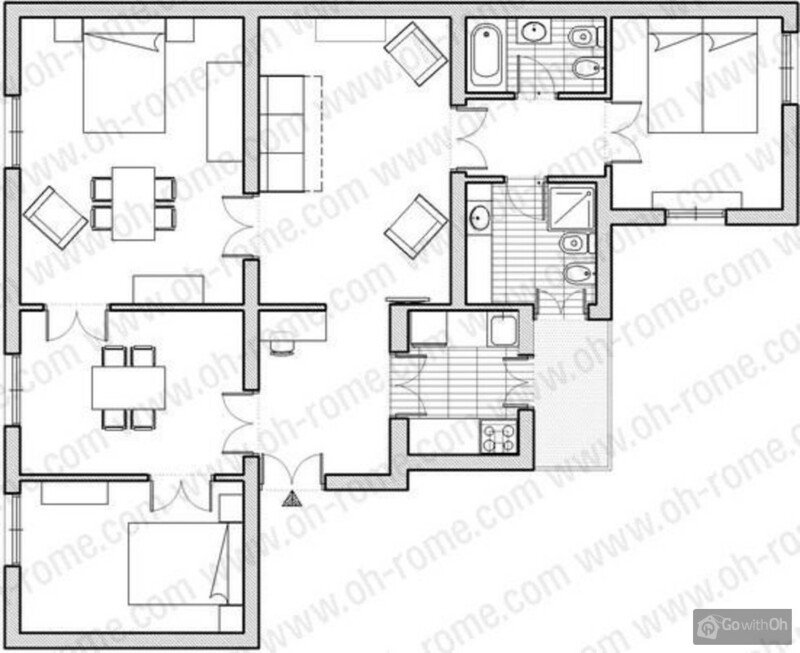 The property is accessed via a small hall that leads to the bright living room. Here you will find a single sofa-bed, two vintage style leather armchairs and an LCD television  the perfect place to unwind. 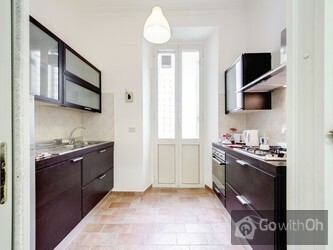 The dining room features a table and chairs, whilst the kitchen is modern and well-equipped. 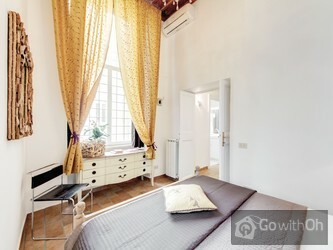 There are three bedrooms, all spacious decorated in pastel tones. The first two contain comfortable double beds, whilst the third features two single beds which can be joined if necessary. 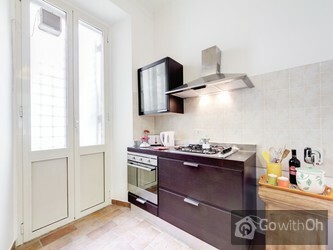 You will also find large wardrobes where you can store your luggage. There are two bathrooms: the first contains a bath, whilst the second has a box shower. 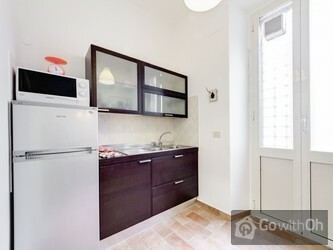 There is also Wi-Fi internet throughout the apartment. 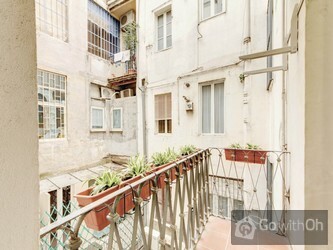 the owner also possesses another apartment in the same building  see ref. 17244. El emplazamiento es estupendo, puedes ir andando a todos los lugares de interés.Recomiendo este piso para una familia con hijos. 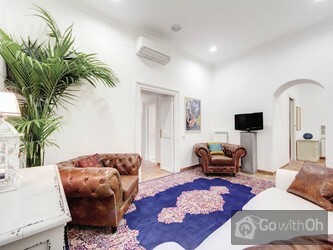 L'appartement est très bien placé, à c^té des restaurants, trattorias et boutiques, dans une rue piétonne.L'appartement offre une belle superficie et est très bien équipé. Top-Lage und trotzdem sehr ruhig, ideal für Familien, alles sehr großzügig ausgestattet. Absolut empfehlenswert!